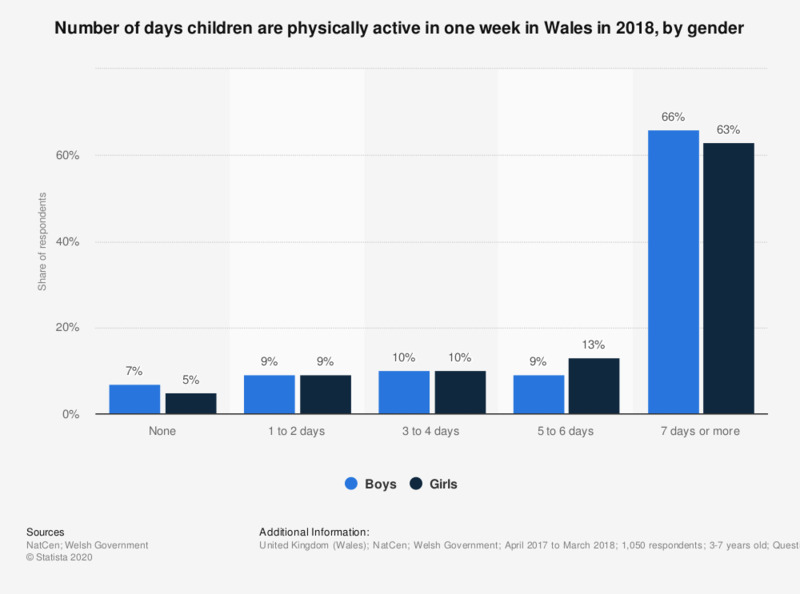 The statistic displays the results of a survey on the distribution of children in Wales as of 2018, by gender and how many days during a week they are active for at least one hour. During the survey period it was found that 63 percent of girls and 66 percent of boys stated that they were physically active for at least an hour on every day. The source provides the following information: "Number of days with at least one hour of exercise in past week".